The consortium of the FutureFlow received excellent audit evaluation implemented by the European Commission at the end of the first third of the project. 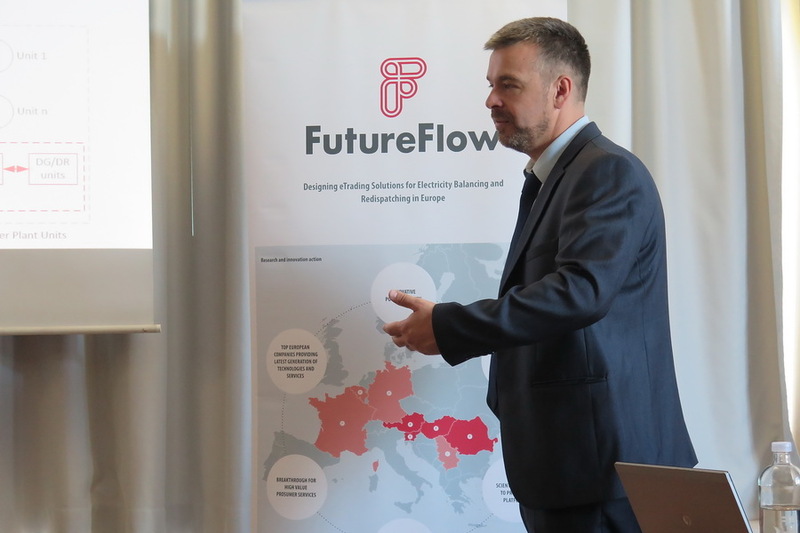 At the first periodical review of the FutureFlow project, the participating partner presented the achievements made so far. Emphasis was put on shaping the design for the future secondary control (aFRR) eenergy market, the situation of development of the platform for aggregating consumers and renewable sources, the platform for regional balancing and redispatching and the progress in engaging final consumers and RES in the project. EKC presented the achievements at the Work Package 1, related to the design and algorithm of balancing market and redispatching mechanism. The European Commission representative, Mr Mortier, expressed his satisfaction with the achieved results and commended the work of the consortium and ELES as project coordinator. 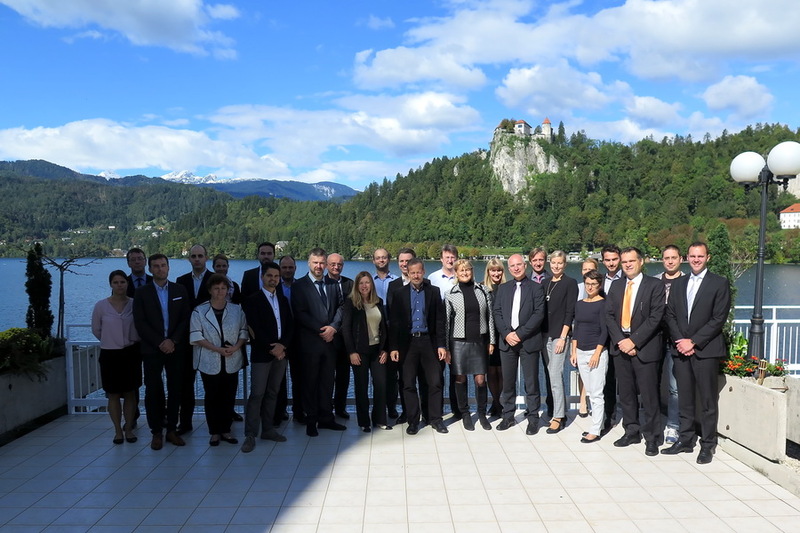 On Thursday, April 11th, the partners of the consortium of the FutureFlow project met in Ljubljana with project officer from the European Commission. The work package leaders presented the progress in the second reporting period. EKC team delivered presentation of the successfully completed project MEPSO Automated Demand Response on November 14th, 2018. The session took place in Economic Chamber of Republic of Macedonia in the presence of representatives from MEPSO, EVN, Ministry of Economy, Regulatory Agency, Faculty of Electrical Engineering, Macedonian Academy of Sciences and Arts, ELEM, Macedonian large industries - direct customers and others. By performing onsite pilot tests, by shifting outputs of prosumers, FutureFlow project enters the final year. The integration of a rapidly growing share of non-dispatchable Renewable Energy Sources (RES) like wind and solar into the traditional electricity system will require a significantly increased level of (system) flexibility. EKC is delighted to announce that our Company has been awarded AAA rating for solvency excellence in Serbia! AAA solvency rating is awarded to companies whose business results records demonstrate systematic and high quality work. Copyright © EKC 2019. All rights reserved.